Established during the Qin Dynasty and renamed to Jiuzhaigou County in 1998. However, the reserve was undisturbed until recently. Cool temperate, damp and cold on the high mountain slopes and cool and dry in the valleys. Average annual temperature is 7.2C. vibrant spring temperature ranges from 9C-18C; stable summer temperature of 19C - 22C fall temperature from 7C - 18C; winter temperature under zero. Jiuzhaigou, is a wonderland in the Aba Tibetan and Qiang ethnicity autonomous prefecture of Jiuzhaigou County, Sichuan Province. It covers a total area of 720 square kilometers. High mountains and deep valleys and barrier lake are what make Jiuzhaigou special. 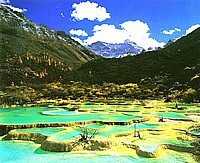 Jiuzhaigou got its name since there are nine ancient Tibetan villages in the ravine. The main scenic spot that spans 80 kilometers consists of three "Y" shaped gullies called Shuzheng, Rize, and Zechawa. It is 1,980-3,100 meters above sea level while the altitude of the highest peak is 4,700 meters above sea level. One hundred and eighteen lakes are inlaid among the high mountains and cliffs like strings of pearl necklaces. 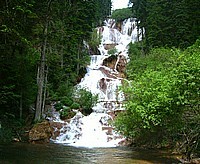 Between each lake are ten waterfalls with nearby carbonic calcifications which dazzle with color in the sunshine. Since Jiuzhaigou is situated at the point of intersection between sub-tropic and temperate zones, sub-tropical plants such as the Chinese pine and Huashan pine can be seen growing. State protected animals of the 1st, 2nd and 3rd level also live in this area. With its mild weather-the average lowest temperature in January being 2.5 degrees Celsius and the average highest temperature in July, 17 degrees Celsius-this natural garden of animals and plants welcomes tourists all year round. 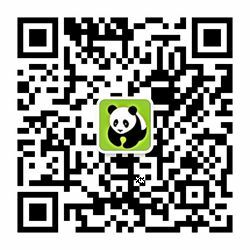 As the saying goes "when coming back from the Huangshan Mountains one does not want to see a mountain; when coming back from Jiuzhaigou one does not want to see water." The essence of Jiuzhaigou, known as "king of Chinese water scenes", lies in its waters: lakes, spring waters, streams, waterfalls, rivers and shoals. The mountains of Jiuzhaigou are mystical and a grand sight Traces of ancient glaciers can still be seen. Snow-capped mountains and the crisscrossing gullies are like poetry written by nature. 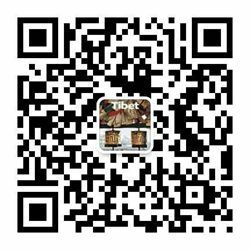 The industrious Tibetan people live and cultivate this piece of land, leaving behind strange tales and stirring legends. During the 1970s, a group of foresters discovered this wonderland which had been lying asleep for millions of years. 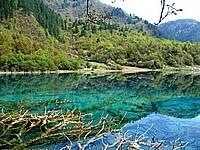 In 1978, Jiuzhaigou was listed as a State nature reserve. In 1982, it's scenic spots became one of the first protected by the State. In 1990 it was selected as the best new scenic spot and in 1992 was listed by UNESCO as a World Natural Culture Heritage. In 1997 it entered the World Man and Biology protection web, being the first scenic spot in the world to be awarded with two such high honors. Dr. Lucas, and Dr Thorsell from the World Nature and Natural Resources Protection Union visited Jiuzhaigou to inspect this grand example of world heritage in 1992. They wrote: "We discovered the world's most grand and miraculous natural scenery." "To visit and appreciate her is my biggest honor." World Tourism Coordinator, Mr. Edward said: "The beauty of Jiuzhaigou is the best in the world." 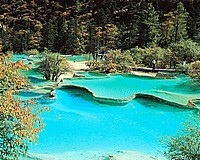 If a wonderland really exists in the world, it should be China's Jiuzhaigou-the world's natural heritage.